Product Specifications Material 100% polyester Usage Home textile 65/35,80/20,90/10 TC Weight 45gsm-140gsm Fabric Type Plain, twill, satin, jacquard ,embossed, TC, down proof, water proof Width 1.5-3ms Style Grey, dyed, bleach white, pigment print , disperse prit,etc. We possess the production ability from spinning , weaving , printing , cutting, stitching to packing , all the manufacturing process. We can provide high quality home textile products to the customers. This fabric is a elegant, first class quality HPPE anti cut fabric, graceful color * available in many colors, you pick up the color * Soft and Romantic. * This fresh lace fabric is perfect for bag lining ,glove and garment and so on 2016 Popular Waterproof camouflage fabric reactive dye camouflage fabric for workwear bags military blue camouflage fabric Product Type: anti cut fabric Material: MD Fabric Type: woven fabric Technics: plain Feature: Eco-Friendly, anti cut ,water proof ,tear resistant Color: light blue and white Specification 450gsm*150cm Company Profile Our : We are a company with our own factory, which located in Shantou city. Established as a company on 2002, with nearly 1000 staff and more than ten years of management experience, our product line become mature, especially in aramid field, we&rsquo;ve developed our own functional products. 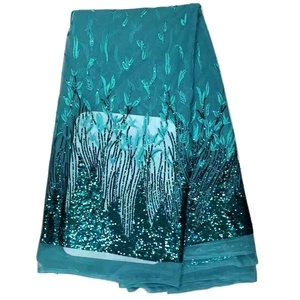 can meet whatever you want on the design wonderful memories prove our fashion lace trend ! professional manufacturer with strong productive ability,ensure the steady high quality and supply of products. Specification New Yellow african tulle beaded embroidery lace fabric / 2016 nigerian styles cord lace with stones for women clothing with high quality and reasonable price Color As per buyers&rsquo; requirements MOQ 5 yards New Yellow african tulle beaded embroidery lace fabric / 2016 nigerian styles cord lace with stones for women clothing Usage Garment accessory, home textile, bags, shoes etc. Q1.Can I order other colors and mix colors9 A1.Yes, you can select from our color charts, also we can dye the color as Pantone Q2.Can I change the size9 A2.Yes ,we can make it larger or smaller according to your requests. Q5. Do you have factory9 A5.Yes, we have factory in Shantou and more than ten shops in Guangzhou zhongDa market Q6.Your MOQ is a little high for me, can you reduce the quantity9 A6.Please contact us first, then we will let you know whether we have it in stock. Q2: about the price and quality We have our own factory,so the price is very modest and the quality can be assured. 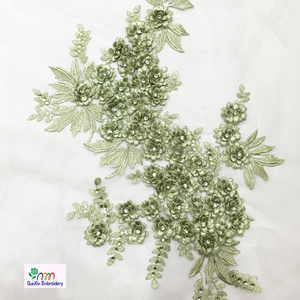 Q3: about the sample We could offer you a 30cm*40cm piece swatch of no beading designs if we have in stock for free. Beynd that,we would charge for the swatch cost, and the swatch cost could be refund after you place an order. with a wide range, good quality, reasonable prices and stylish designs, our products sell well in the usa, canada, uk, europe, africa and soon. 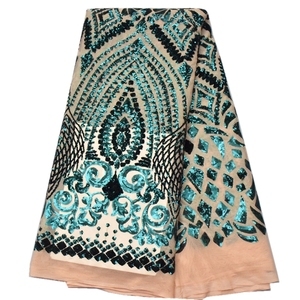 we have strictly quality control system in guipure lace fabric production process. 3. We arrange the invitation letter when you come to China and visit us. We also have promotions several times a year. Q4. How many styles for my select9 A4:Many types for your choose or as per customized. ,Ltd is a manufacturer exporter of fabric laminating, which is widely used in water-resistant bedding accessories,camping textiles,kid bib/kid pad,sports wear,surgical/chef dress etc. We offer both one & double side fabric laminated with eco friendly breathable and waterproof membrane PTFE, TPU, PVC,PEVA in the maximum width 250cm can meet various width request for garment and bedding. BTW, we have our own sewing workshop which can produce waterproof mattress protector /cover/pillow,bedbug matterss cover etc,baby changing pad/mat. pecifications Special Mesh Emrboidered lace fabric 140cm widest Color white, ivory, black, champagne Order at least 90yards per color For your to know: Samples are for free, but would charge the shippingcost . Please advise your order quantity if it's under mini order 90yards Material 100%polyester Width 10-15cm MOQ 150 yards Design/color As customer required,white, ivory,black,coffee,pink Packing indoor Each 15yards in one polybag,and then standard outer carton,the carton size about 72*35*50cm or packing according to customers requirement. Quality control inspect before produce and delivery payment T/T Usage garment,dresses,indoor ornaments and handicraft articles,fancy grande toilette,accessory,window curtain Product detail #102744 The lace designs are over 1000 desig ns, new design in every week You are welcomed to visit u s in our fa ctory to have full view of the designs and factory. 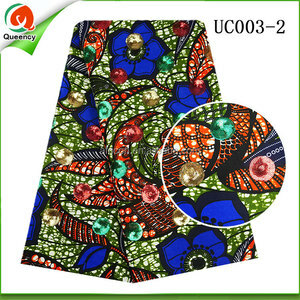 Alibaba.com offers 49,822 2016 fabric products. About 6% of these are bag fabric, 5% are 100% polyester fabric, and 4% are knitted fabric. 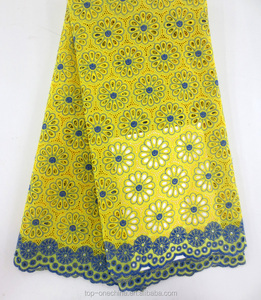 A wide variety of 2016 fabric options are available to you, such as 100% cotton, polyester / cotton, and rayon / polyester. 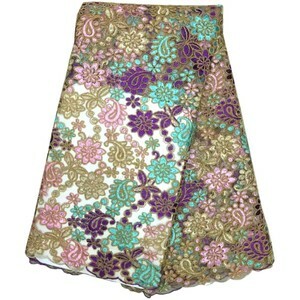 You can also choose from dress, garment, and home textile. 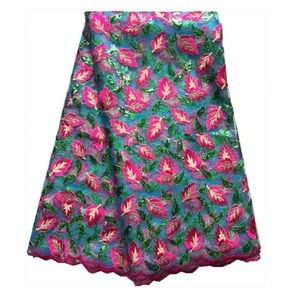 As well as from jersey fabric, mesh fabric, and poplin fabric. And whether 2016 fabric is anti-static, waterproof, or abrasion-resistant. There are 49,763 2016 fabric suppliers, mainly located in Asia. The top supplying countries are China (Mainland), Pakistan, and India, which supply 92%, 3%, and 3% of 2016 fabric respectively. 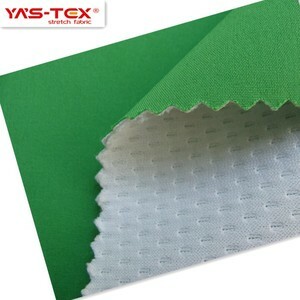 016 fabric products are most popular in North America, Western Europe, and Eastern Europe. You can ensure product safety by selecting from certified suppliers, including 6,932 with Other, 6,477 with ISO9001, and 2,573 with ISO/TS16949 certification.